Pest Solutions are the UK’s leading pest bird control specialists. Pest bird control in the UK has become a major public health issue, and it costs our economy millions of pounds a year to deal with these infestations and their consequences. Pest Bird Control Glasgow. 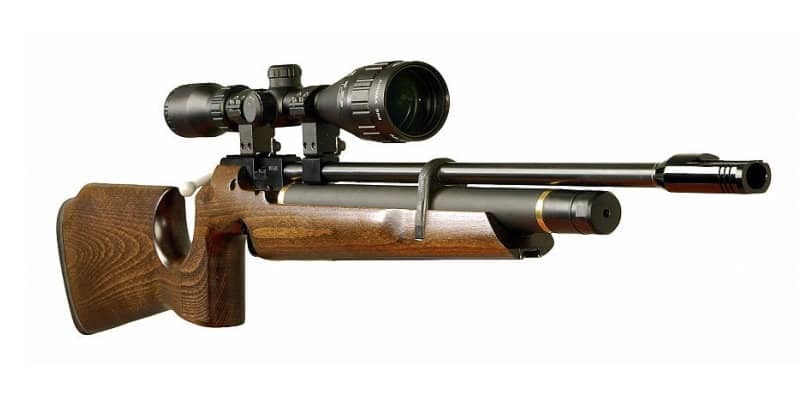 Pest Solutions was initially founded in Glasgow but has since expanded to provide specialist pest bird control and deterrent solutions across the whole of the UK. 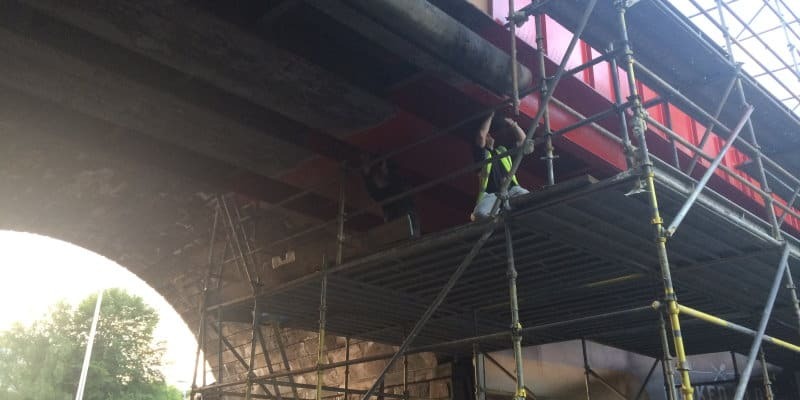 Our team of experts carry out fully accurate surveys and then design the most effective deterrent systems to protect your building or structure. That way, you can avoid the damage and nuisance caused by birds and keep them at bay for good. Call today for a FREE survey and a member of our team will be happy to perform a full assessment of your requirements, to provide professional advice on the most suitable solution. Pest Solutions are a highly experienced pest bird control specialist company. 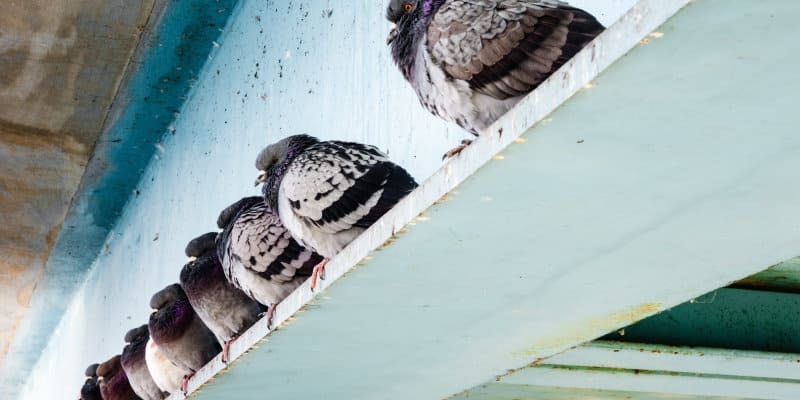 We are focused on and dedicated to pest bird control in towns and cities throughout the UK, offering our insider insight and expertise to tackle this often-severe issue. 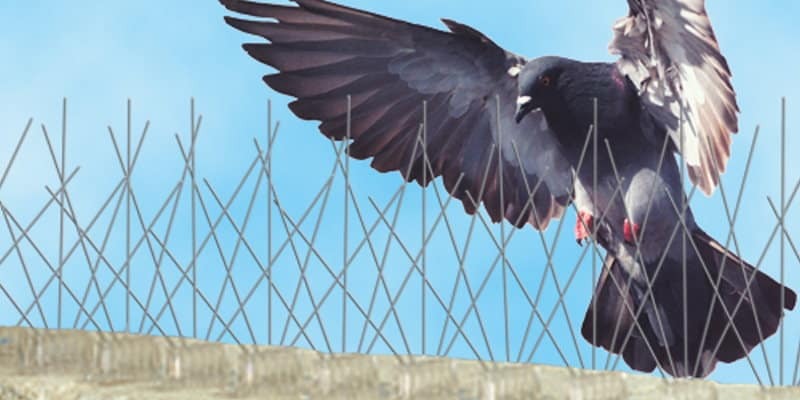 Our expert team of highly trained pest bird specialists are experienced in the installation of a wide range of bird netting and bird spike systems, delivering solutions that provide successful long-term bird control across all environments and building types. The risks associated with pest birds increase year on year. Feral pigeon and gull populations are on the rise in towns and cities across the UK, particularly in inner-city environments. What’s more, environmental issues have led to some rural pest bird species migrating to urban areas, further worsening the problem. For these reasons, we do more than just offering effective solutions to these problems. More importantly, we also offer education and advice to help fight back against the pest bird problem facing our country today. Our expert team of pest bird control specialists are all highly trained and carry IPAF and PASMA certification. This is especially important for pest bird control since this work is often carried out at great heights. Thanks to this training, the Pest Solutions team can ensure that all work is done in a professional and safe manner. Not only are Pest Solutions on hand to help in Glasgow, Edinburgh, and Aberdeen, but we also have additional local branches across the UK. What’s more, we also offer completely free surveys to identify the problem and come up with the most effective, cost-effective solution. Call now on 0800 027 2555 and find out how we can help you, or click here to find your local branch. The concept of a “pest bird” is harder to define than one might think. In short, pest birds are in some way detrimental to people. One bird sitting on a roof, window ledge, gutter or in a loft may not be classed as a pest. However, large numbers of feral pigeons, gulls (Seagulls) or starlings in the same areas could constitute a problem. They may pose a risk to public health, contaminate products, affect manufacturing processes or contravene the Health and Safety at Work Act, among other issues. Those with a fear of birds may well regard these creatures as a pest. One person may regard feral pigeons, gulls (seagulls) or starlings with affection, and happily sit feeding them. However, the persons next to them may be frightened or even terrified of them. The most serious consequence of a pest bird situation is that they can contaminate human food or affect the manufacturing and sale of food for human consumption. For example, bird fouling, blocked gutters, nesting materials on buildings, and associated insect activity can all have a knock-on effect on health and hygiene issues. The Protection of Birds Act 1954 and 1967 and the Wildlife and Countryside Act 1982 provide a specific definition of pest birds. 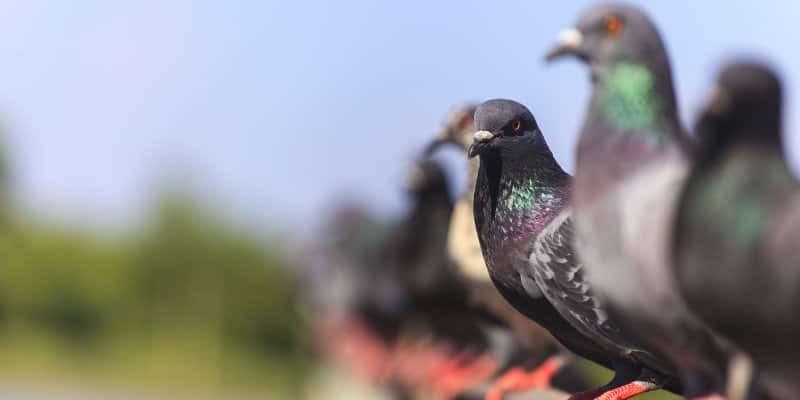 They define pest birds as feral pigeons (Columba livia), starlings (Stunus vulgaris), house sparrows (Passer domesticus) and some gulls (Laridae). 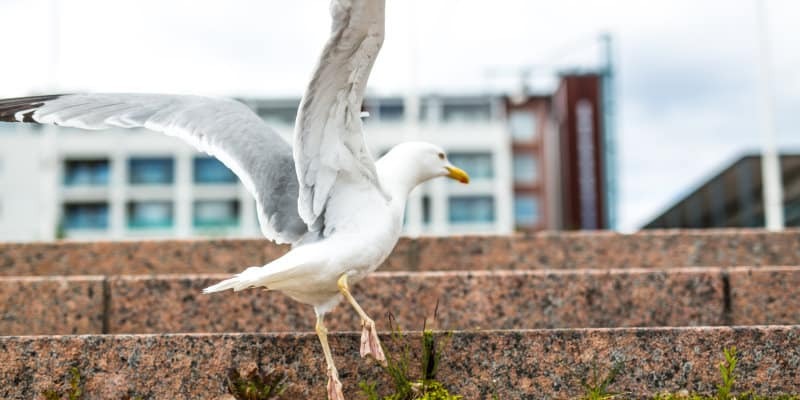 Prevention of Defacement by Bird Fouling – Not only are bird droppings unsightly, but they can also cause some serious long-term damage to buildings and statues. Limestone is particularly susceptible to this- not only do the droppings wear away at the stone, but fungi within them secrete acid that causes further damage, too. Reduction of Maintenance and Cleaning Costs – Cleaning and restoring buildings can be expensive. Nests and droppings block gutters and downpipes. The results can lead to timber or structural damage, ruined decor, and damage to products and processes that can cost a fortune to fix or replace. Prevention of Fouling on Pavements / Entrances – Fouling on pavements, entrances and fire escapes can pose a serious health and safety risk. The build-up of droppings in these areas makes them hazardous, and if fouling accumulates on ledges, sills and signage, etc, it may fall on pedestrians or cause them to fall. Eliminate Noise and Smell – Large numbers of pest birds can make an incredible amount of noise, which can easily annoy nearby workers. In particular, this can be a serious problem in hotels, hospitals and office complexes. Feral pigeon nesting materials and fouling also produce an extremely foul odour, so they will need to be dealt with as quickly as possible. 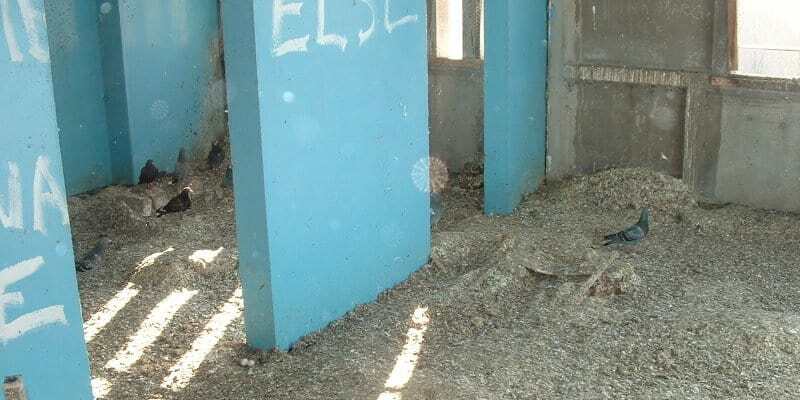 Prevent Damage to Industry / Manufactured Food – Bird droppings spoil finished products in loading bays and storage areas. They cause staining and leave goods damaged, affecting paintwork, precision finished goods, packaging and surfaces made of metal, stone, wood paper and cardboard. Reduce the Risk of Disease – Pest birds are closely associated with the transmission of disease to man. 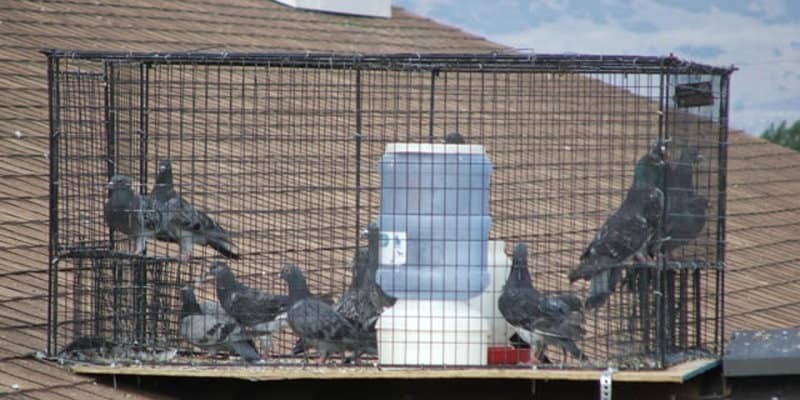 Sparrows and feral pigeons can carry bacteria causing salmonellosis. Feral Pigeons may also carry ornithosis, which is similar to viral pneumonia. Reduce the Risk of Insect Infestation – Birds, bird droppings and their nesting materials harbour insects and mites. Some of these insects can cause damage to property, stored foods and fabric. The removal of nesting materials from buildings reduce resulting insect infestations. Pest birds can be a serious problem, so don’t just let it happen to you. Our team of pest control experts are ready to help you deal with any pest bird situation, and keep these animals from coming back. With local branches throughout the UK in Edinburgh, Aberdeen, Manchester, Birmingham, and London, the Pest Solutions are only ever a phone call away. Call 0800 027 2555 today for a FREE survey or click here to find your local branch.